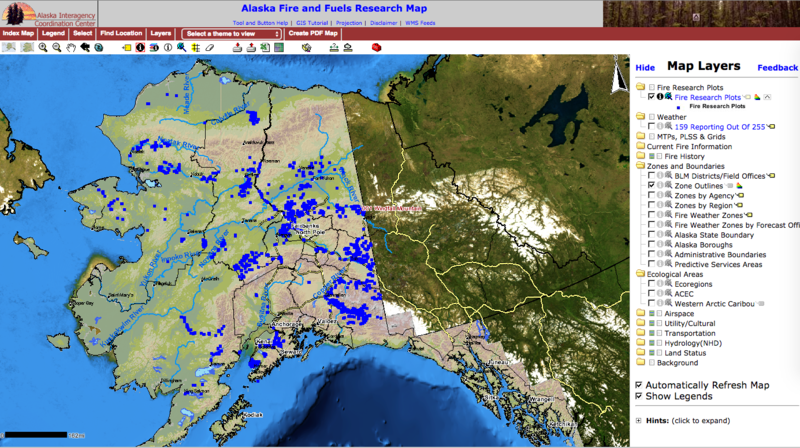 The Alaska Fire and Fuels Research Map provides online site-level information and locations for fire and fuels-related studies through a map interface. Funding for the initial development was provided by the Joint Fire Science Program and it is hosted through Alaska Interagency Coordination Center. Last update for this map of research plots was in mid-2014. Contact: If you have study information you would like added to the map (or updated), please contact either AFSC Coordinator, Alison York (ayork@alaska.edu), or FRAMES Project Manager, Diana Olson (dlolson@uidaho.edu).